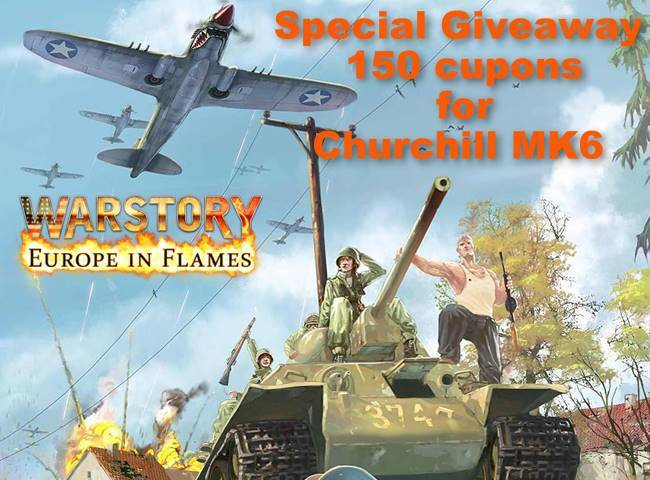 WarStory with F2P.com is giving away 150 Churchill Mk6 tanks. The Giveaway expires the April 31. To get this giveaway create a account of WarStory then enter the game and play through the tutorial. At the world map screen youll find a button down in the right corner above the sound button. The button shows a pointing hand. Click on it and enter the code into the popup menu.